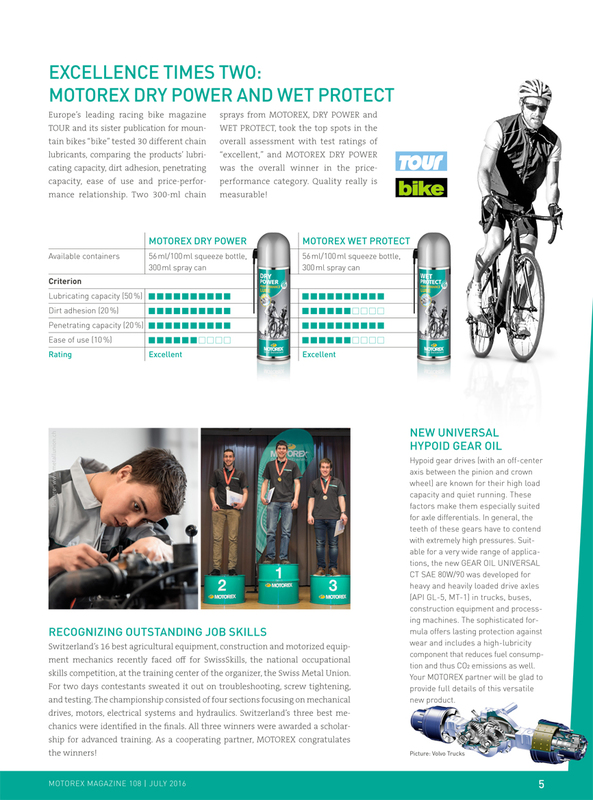 Europe’s leading racing bike magazine TOUR and its sister publication for mountain bikes “bike” tested 30 different chain lubricants, comparing the products’ lubricating capacity, dirt adhesion, penetrating capacity, ease of use and price-performance relationship. 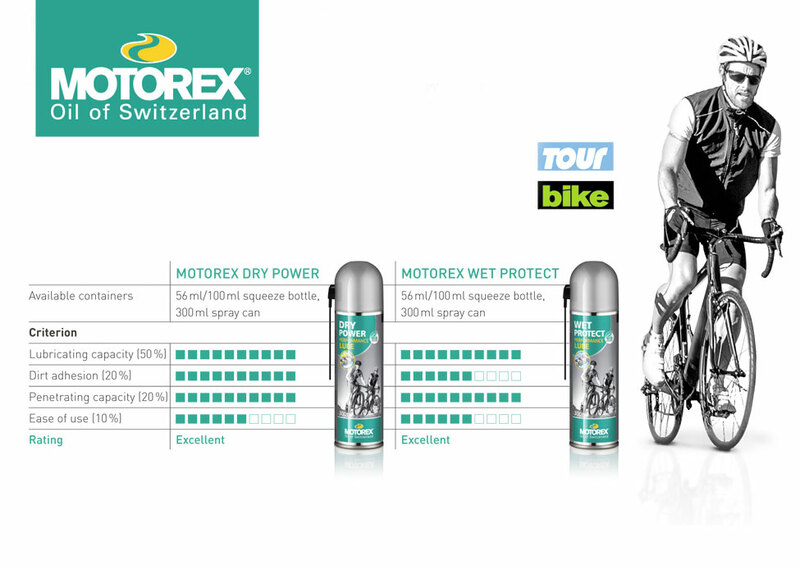 Two 300-ml chain sprays from MOTOREX, DRY POWER and WET PROTECT, took the top spots in the overall assessment with test ratings of “excellent,” and MOTOREX DRY POWER was the overall winner in the price-performance category. Quality really is measurable!